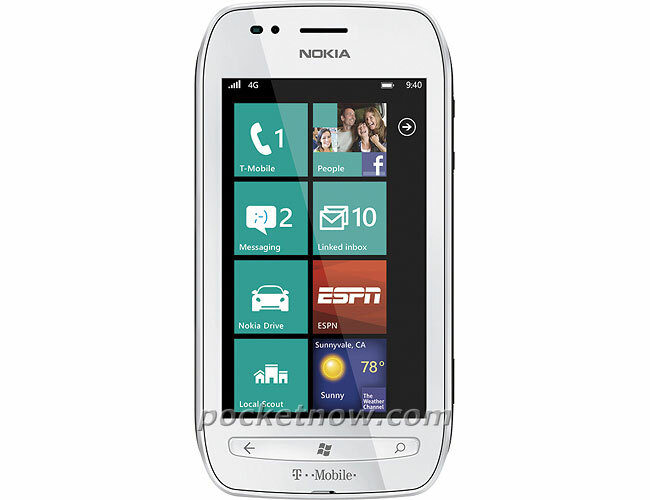 T-Mobile and Nokia are holding a press conference this week where the two companies are expected to reveal the first Nokia Windows Phone devices for T-Mobile, we have already seen evidence of a T-Mobile branded Nokia Lumia 710, and now we have an actual press shot of the device. The T-Mobile Nokia Lumia 710 press shot was obtained by the guys from Pocket Now, and is more evidence that this will be one of the devices announced this week, especially considering that Nokia recently announced it would be available globally within the next few weeks. It isn’t clear as yet whether this will be the only Nokia Windows Phone unveiled for T-Mobile this week, we wonder if we will see some new Nokia Windows Phone devices or maybe the Lumia 800 on T-Mobile.